“We truly are fortunate to have remarkable local and regional leadership,” said Terry Danner, Riverstone's CEO.“I am confident that their expertise will continue to serve us well as we expand with the focus always on our property management oversight." Riverstone Residential Group, one of the largest privately-owned, third-party multifamily property management companies in the United States, announces that its founder and current president, Terry Danner, will assume the chief executive officer role. Danner has occupied a leadership position with Riverstone since its inception in 2006, and has helped oversee its exemplary growth during that time, including the integration of five acquired companies. 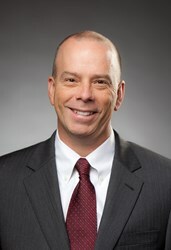 In his new role, Danner will continue to draw on the support and expertise of tenured regional and divisional leadership, as well as the executive-level support and expertise provided by MarySusan Wanich, existing chief operating officer; Michael Hoffman, existing chief legal officer; Laurie Brashear, chief human resources officer; Mel Barks, chief performance officer; division presidents Stephanie Brock and Maura Bilafer; Mike Dow, chief client relations officer; and Gardner Rees, who oversees Riverstone’s ancillary services groups. During and after the transition, Danner confirmed that Riverstone will remain steadfast in its commitment to ensuring strong asset and portfolio performance for clients, maintaining premier living and working environments for residents and associates, and focusing on its vision for expansion through both organic growth and strategic transactions. This expansion will complement the company’s existing management portfolio of properties across the country. “I look forward to continuing to lead Riverstone associates to generate optimum service, revenue, and results for our valued clients for the remainder of this year and in the years to come,” added Danner. Walt Smith, former Riverstone chief executive officer, left his role in order to rejoin his long-term partners as principal at Investors Capital Group (ICG). ICG is a current Riverstone client, and Riverstone will continue its thriving business relationship with them. Smith will assist with a transition over the next few weeks. For more information contact Katie Fleischer, executive vice president, corporate marketing and communications; kfleischer@riverstoneres.com. Riverstone Residential Group, one of the largest third-party multifamily apartment management companies in the United States, is focused exclusively on the delivery of unparalleled property management as well as resident and ancillary services. Riverstone's core service groups include accounting, audits and investigations, client relations, education, human resources, information technology, management systems, performance analytics, property maintenance and project management, property transitions, purchasing, risk management, and supplier compliance. Ancillary service groups include affordable housing services, utility management services, resident screening and receivables management services, resident services, client and resident insurance, telecom services, and financial advisory services. The company manages a portfolio of multifamily assets valued at more than $17 billion for leading institutions, pension funds, developers and other major owners. Located in metropolitan markets across the nation, Riverstone's more than 800 communities and 170,000 apartment homes under management include high-rise, mid-rise, and garden-style communities in conventional and affordable assets. The company is headquartered in Dallas, TX. For additional information, visit http://www.RiverstoneRes.com or email info(at)RiverstoneRes(dot)com.